Say Hello to our New Baby Potoroo! We have a new arrival! 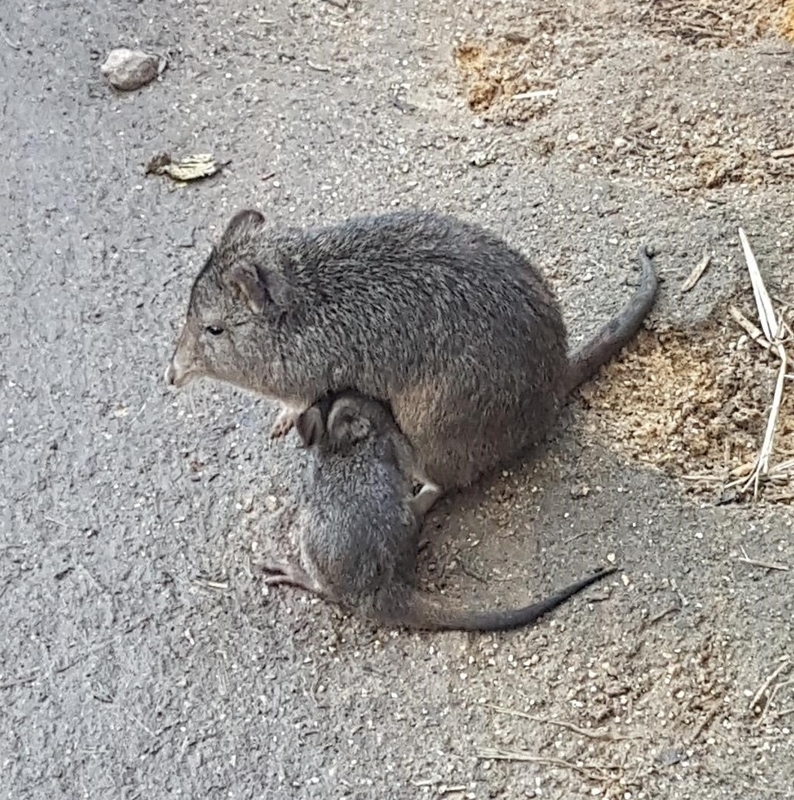 At Tilgate Nature Centre our female long-nosed potoroo has given birth to an adorable little joey, who has just started coming out of the pouch. The tiny potoroo was initially spotted wriggling around in its mum’s pouch a few weeks ago, then first seen scampering around on 31st January. Potoroo’s are a marsupial, like a kangaroo but about the size of a rabbit. See if you can spot our newest baby ‘down under’ in our Australasia zone! Handy hint: these guys are best seen late afternoon! Next Hornbills Hard at Work!